Robert Morkot's research interests are based in the Mediterranean and North-east Africa, and have been particularly involved with Egypt, Nubia and Sudan, and Libya, although extend to Syria and Mesopotamia, Greece and Italy. He specialises in the period from the Late Bronze Age (c.1500 BCE) to the time of the Arab expansion (c.650 CE). He is also interested in the historiography of the discipline, and uses and reception of the antiquity in western Europe. He recently held an AHRC Fellowship for research into the Intellectual Development of Egyptology 1780-1880. 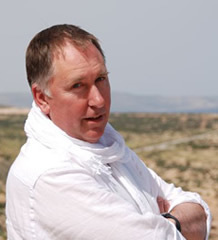 Robert has, for many years, been actively involved with a number of the leading organisations in the region: the Society for Libyan Studies, ASTENE (The Association for the Study of Travel in Egypt and the Near East), the Egypt Exploration Society and the Friends of the Petrie Museum. Robert Morkot is currently a Vice-President of the Friends of the Petrie Museum, Trustee of Breaking Ground Heritage, and a Fellow of the Society of Antiquaries of London. From Decemeebr 2011 to December 2016 he was Chair of Council of the Society for Libyan Studies. Robert has numerous publications ranging from the purely academic to the more 'popular', including a guidebook. I have wide interests in the Ancient Mediterranean and North Africa, and in the history of archaeology and reception of antiquity in western Europe. My particular expertise is in the external relations of Egypt, particularly from the Late Bronze Age to Roman Periods. My doctoral work and many of my publications consider the region immediately to the south of Egypt – ‘ Nubia’ and northern Sudan – but I have also worked on Egypt's relationship with Libya, and with Western Asia. My research has been paradigm-shifting, but inevitably, also controversial: Egyptologists do not like having their paradigms shifted! In the late 1980s I collaborated with some colleagues from UCL and the Institute of Archaeology in London in writing Centuries of Darkness (http://www.centuries.co.uk/) which challenged the accepted dating of the Late Bronze Age and Early Iron Age in the Eastern Mediterranean. Many of the ideas had already been voiced or been the subject of fierce academic debates: notably Kathleen Kenyon's 'low' chronology for the archaeology of Palestine. Centuries reviewed and revived many of these debates within a broad context, and also introduced some new elements, such as my own chapter on the 'Nubian Dark Age'. As a result, this was quite a divisive book! It was lampooned by Bernard Levin in The Times, but there were also numerous reviews in many of the leading academic journals, and by major scholars: many were sympathetic to the issues, fewer supported the conclusions. The heart of the 'problem' diagnosed was the reconstruction of Egyptian chronology. Some Egyptologists, notably Kenneth Kitchen and Barry Kemp did respond (in the major review article in the Cambridge Archaeological Journal) but the Journal of Egyptian Archaeology ignored it, as did many Egyptologists. Indeed, many Egyptologists still get upset at the mention of it. However, there is an increasingly large number of specialists throughout the archaeology of the region who have come to accept the proposals within their own regions,. My doctoral dissertation proposed a radical re-interpretation of the 'emergence' of the Kushite state that conquered Egypt in the mid-8th century BCE (ruling there as the Egyptian '25th Dynasty'). It reviewed the evidence and viewed it within the context of what happens to 'colonies' and peripheries following imperial collapse: it was ironical that much of it was written in East Germany just prior to the collapse of the USSR. This too, was highly controversial, but the main thrust of my arguments have now been adopted by most archaeologists of the region. In both my doctoral work and Centuries of Darkness, I challenged the idea that there was a 200-300 year 'gap' in the history and archaeology of Nubia. I presented my ideas first in a paper called 'The Nubian Dark Age' at a conference in Geneva: it did not go down well, but surveys and excavations over the past twenty years have now shown that there was no 'Dark Age' or gap. How the archaeology is to be interpreted - whether it confirms a Centuries-style lower chronology, or supports the conventional Egyptological chronology - remains to be seen. One particular aspect of my research which has continued to develop from my doctoral work is on the economic interactions of the ancient world. As part of this, I have developed a particular interest in ivory as a material and as an item in international trade. Most recently I contributed a paper on ivory 'Changing empires, changing sources' to the conference 'Ivory trade and exchange in Late Antiquity and Early Islam'. This was the first conference of a Leverhulme Trust research project led by Professor Hugh Kennedy (SOAS) and Dr Myriam Wissa (SOAS) ‘Bridging religious difference in a multicultural Eastern Mediterranean Society. Communities of artists and their commercial networks in Egypt from Justinian to the ‘Abbasids (6th-10th centuries)’. I am involved in research in the western European relationship with the Ancient World, and its ‘rediscovery’ and ‘invention’. This relates closely to my work on Museum collections and has helped to re-contextualise objects which were acquired by travellers in the early 19 th century. It also relates very closely to the teaching of the history of Archaeology at Exeter. One aspect of this research is historiography: how writers have understood or invented the past, and how ideas have been developed and transmitted. For example, ‘On the Priestly Origin of the Napatan Kings’ discusses how a racist idea of the 19 th century has continued to influence our interpretation of the archaeology of the northern Sudan, even though the more overt racism was removed as the idea was repeated and elaborated. In 2012 I held an AHRC Fellowship which enabled me to pursue many of these themes. Called 'The intellectual development of Egyptology 1780-1880' the project examines the issues and ideas that dominated the developing academic discipline of Egyptology. Most studies of the period have concentrated on the decipherment of hieroglyphic, the 'looting' of monuments and taken a positivist view of the way the academic discipline evolved. My own work focuses on the what travellers and scholars thought about Egypt: what were the questions that they asked and tried to answer? And how did ideas about Egypt relate to the other key intellectual issues of the 19th century? My most recent PhD was Ahmed Abdelkariem who prepared a management plan for the large and important site of Cyrene in Libya. This will be the model for heritage management and community engagement with the archaeology of Cyrenaica in at time of severe difficulties for the preservation of ancient sites in the country. I curremtly supervise PhD students working on the history and and development of Egyptology in Ireland, and on the hundreds of granite statues of the goddess Sakhmet carved for the temple of Amenhotep III on the West Bank of the Nile at Luxor. Much of my work has been carried out on already-excavated or acquired material in museums: so much so, that one well-known colleague described me as 'the leading exponent of museum-basement archaeology'! I began by registering material in the Petrie Museum at UCL, which gave me a broad knowledge of the less glamourous, but far more common, types of material found on Egyptian sites. I then worked on the archive in the Petrie Museum, mainly preparing Petrie's notebooks for microfiche. My doctoral and post-doctoral work involved me in looking at museum collections all over Britain and Europe, most of it undisturbed since it was deposited by the excavators. On moving to Exeter I reviewed the Egyptian collection in the RAMM, and as a result of that, was able to link some material there and in Swansea to the early collector and proto-archaeologist Giovanni Belzoni, thus giving it a better context. I have not been involved in the practice of field archaeology in Egypt and Sudan, preferring to stroll around looking for rock inscriptions, copy unpublished inscriptions and scenes (of which there are far too many) and get a broader sense of the entire country and its monuments and sites. In 2008 and 2009 I was part of the team led by Linda Hulin (University of Oxford) on the first two seasons of the Western Marmarica Coastal Survey. The first season was based in Tobruk and the second between Tobruk and the Egyptian border. This was the first attempt to assess the archaeology of this neglected region. Numerous sites of Roman to early Islamic date were located, including some substantial settlements. There was also evidence of earlier occupation. The team also visited the remote Oasis of Jaghbub close to the Egyptian border. Egyptian-style mummies of Roman date had been discovered here a couple of decades ago, and there were clearly close links with Siwa a short distance away, in Egypt. The political situation in Libya since the revolution has obviously had a major impact on fieldwork, but the survey hope to be able to resume work in the near future. In January 2018 I travelled with colleagus from another Unversity looking for potential excavation sites in northern Sudan. A number of possibilities emerged, and we are currently considering a small Kerma period site that it is at risk from encroaching agriculture. Hopefully, work will begin in 2019. I have served on the Council (2006-2010), and was Chair of the Council, of the Society for Libyan Studies (SLS http://www.societyforlibyanstudies.org/) from 2011 to 2016. Funded largely by the British Academy through BASIS (http://www.britac.ac.uk/), the Society for Libyan Studies has been involved in assisting British archaeologists working in Libya for over 40 years. The SLS has recently been engaged in a number of collaborative ventures with the British School at Rome (http://www.bsr.ac.uk/). A major conference on Constitutionalism in North Africa and the Middle East, was held in conjunction with BSR and the University of St. Andrews at the British Academy in spring 2013. A themed strand 'Through Dido's Eyes' organised by Professor Marina Warner, formed an element in the British Comparative Literature Conference at the University of Essex in the summe 2013r. The SLS is developing further links with the British Schools at Athens (http://www.bsa.ac.uk/) and Ankara (http://www.biaa.ac.uk/), and the Council for British Research in the Levant (http://www.cbrl.org.uk/). I was a member of the Committee (2004-2009) and Chair (2009-2011) of ASTENE (the Association for the Study of Travel in Egypt and the Near East http://www.astene.org.uk/ ). ASTENE has a broad membership of archaeologists, historians, Arabists and those engaged in literary studies, all with an interest in travel, travel writing, and the Near East. I am one of the Vice-Presidents of the Friends of the Petrie Museum, University College London(http://www.ucl.ac.uk/FriendsofPetrie/). The Friends is one of the largest Egyptology groups in the UK and works to preserve the most important teaching collection of artefacts from Egypt, which was formed by Sir Flinders Petrie, the first Professor of Egyptian Archaeology at UCL (http://www.ucl.ac.uk/museums/petrie/). I also served for many years on the main Committee (1991-1994, 2000-2003, 2004-2007), Sub-Committees (2002-2010) and Board of Trustees (2008-2009) of the Egypt Exploration Society (http://www.ees.ac.uk/). I am a Fellow of the Society of Antiquaries, and also a member of the Sudan Archaeological Research Society (SARS), the British Institute for the Study of Iraq (BISI, formerly British School of Archaeology in Iraq), the Roman Society, and the British School at Rome. My teaching is informed by my broad background in the history of the ancient (mainly Eastern) Mediterranean, Near East, and North East Africa. I use both textual and archaeological sources, sites, and artefacts, rather than taking a 'texts or artefacts' approach. My interests in interconnections, trade, and cultural influences ensures that I do not teach one region (eg Egypt) in total isolation. My interests in the historiography of the discipline, and the Western 'reception' of the past, means that I happy to challenge received opinions and interpretations, and I encourage a questioning approach to the subjects. Through those interests in 'reception' I try to link ancient cultures with more recent ones, though discussion of the reinvention of architectural, literary, and musical forms and works. I come from a background and period that did not encourage displays of (false and over-)enthusiasm in teaching: I do not regard lecturing as the equivalent of appearing on a TV talent competition. My somewhat dry (and very occasionally sarcastic) sense of humour does, however, appeal to many students - when they eventually get it. My enthusiasm for my subject is expressed in my very beautiful powerpoints, filled with interesting and sometimes unexpected images and literary or musical references. I read Ancient History at University College London (1977-1980) where I specialised in Egyptology. There I benefitted from the teaching of Margaret Drower and Amelie Kuhrt in Near Eastern History; Harry Smith in Egyptology; Fergus Millar, Tim Cornell and John North in Greek, Hellenistic and Roman History. Following my degree I worked in the Petrie Museum of Egyptian Archaeology at UCL, firstly registering material, then as Archivist working on the notebooks of Flinders Petrie. My doctoral dissertation (London, UCL from 1983) examined the complex relationship between Kush (northern Sudan) and Egypt between 1500 and 700 BCE, and the effects of Egyptian ‘colonial’ rule on the formation of an indigenous state. As part of my studies I spent a year (1986-87) in East Germany, on a British Council Exchange Scholarship at the Humboldt University, Berlin. There I studied Meroitic with the leading authority, Fritz Hintze. From 1987-1991 I was G.A. Wainwright Fellow in Near Eastern Archaeology attached to the Oriental Institute, University of Oxford. During this time I was working on material excavated by F.Ll. Griffith and Oxford University at sites in the northern Sudan during the 1920s and 1930s, now scattered in Museums around Britain and Europe. In 1991, along with colleagues from the Institute of Archaeology in London, I.J. Thorpe, N. Kokkinos and J.A. Frankish, and led by Peter James, I contributed to Centuries of Darkness. (London: Jonathan Cape). This, rather dry, reassessment of the chronology of the Old World from the Bronze to Iron Ages was greeted with horror by many archaeologists (and derision by some). For such a dull subject, it became something of a succès de scandale , even being lampooned in The Times. Despite the hostility of many Egyptologists, the solution suggested to the archaeological problems highlighted (revising the chronology of Egypt), has gradually moved in the authors’ favour: the debate continues. In addition to my academic papers and books, I have written a number of more ‘popular’ works including a guidebook to Egypt: a textbook - The Egyptians: an introduction (Routledge); The Penguin Historical Atlas of Ancient Greece); The Empires of Ancient Egypt ( London: BBC) . I have written articles for reference works including: The Macmillan Dictionary of Art; The Oxford Classical Dictionary and The Oxford Encyclopedia of Ancient Egypt; and have worked as author, picture editor and adviser on a range of popular books about ancient Egypt and Greece. I have written many articles and reviews for the ASTENE Bulletin, and the ancient art and archaeology magazines Minerva and Egyptian Archaeology. I have also worked for a ‘learned society’, a Quango, and in tourism. I taught for many years in Adult and Continuing Education for The City University and The University of Surrey before joining the University of Exeter in 1996. At Exeter I developed the Certificate in Egyptology in the Department of Lifelong Learning. In addition to undergraduate lectures and a period as Teaching Assistant at University College London I have been a guest lecturer at the Humboldt-University Berlin, Leipzig University, and the University of Cassino. I regularly lecture to Egyptology and Archaeology Societies throughout the UK, and other organisations such as NADFAS. ASTENE (The Association for the Study of Travel in Egypt and the Near East). The Friends of the Petrie Museum.